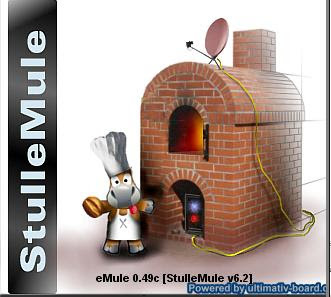 eMule 0.49c StulleMule 6.2 Plus is StulleMule extended and reloaded with many improvements and enhancements. Useless restrictions has been removed and useful features added. The mod is suitable for Releasers and for all eMule users! Herzlichen Dank fuer das Update!